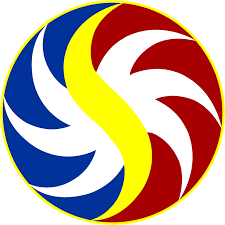 The Philippine Charity Sweepstakes Office (PCSO) has expanded its small-town lottery operations in 56 areas, in order to raise the revenue and to restrain illegal gambling. Small town lottery operations will come as a benefit to the local government and The Philippine National Police, who receive a share of lottery ticket sales. Corpuz said, this year alone, the police force stands to receive more than P692 million ($14 million) from the expansion of operations. "We are doing this, the STL (Smalltown lottery) expansion, not just for PCSO but also to augment the needs of the government to finance its various health and medical programs of the poor,” Corpuz said, adding that public corporation is looking to increase its reach to 37 more areas in the country. There is another benefit to the expansion of STL operations is that to curb the illegal market of gambling. Legitimate operators would want to protect their turf from unauthorized competition. The General Manager of PCSO Mr. Alexander Balutan issued a strict warning to illegal operators asking them to maintain the discipline to go legal or face arrest. Justice Secretary Vitaliano Aguirre, head of the Task Force on Illegal Gambling, has said that President Rodrigo Duterte ordered the small town lottery shakeup, as he believed that operators were not remitting all required monies to the government. According to the National Bureau of Investigation, some STL operators may have defrauded the government of at least P50 billion ($1.5 billion) per year by under-declaring sales.